Straight forward, honest food with a soulful twist. District Soul Food Restaurant and Lounge offers a culinary twist on classic southern cuisine. Inspired by a rich tradition of family and agriculture from previous generations, our menu features a unique combination of local ingredients with a down-home southern flare coupled with signature craft cocktails and decadent desserts. Delight your taste buds with items like our pulled pork, shrimp and grits, and oxtails. One bite of our deliciously rich sweet potato pound cake is sure to keep you coming back for more. Executive Chef John Fearrington (La Residence, True Flavors Southern Diner) showcases his wealth of experience and love of food in every tasty dish. Located in the heart of Barracks Row in Capitol Hill, District Soul Food Restaurant and Lounge is the ideal place to watch your favorite sporting event, enjoy live entertainment or relax upstairs in the Cigar Lounge. With plenty of space for private events, let us host your next party, reception or business meeting. Catering services are available for special events and a food truck can bring our delicacies to your on-site event. 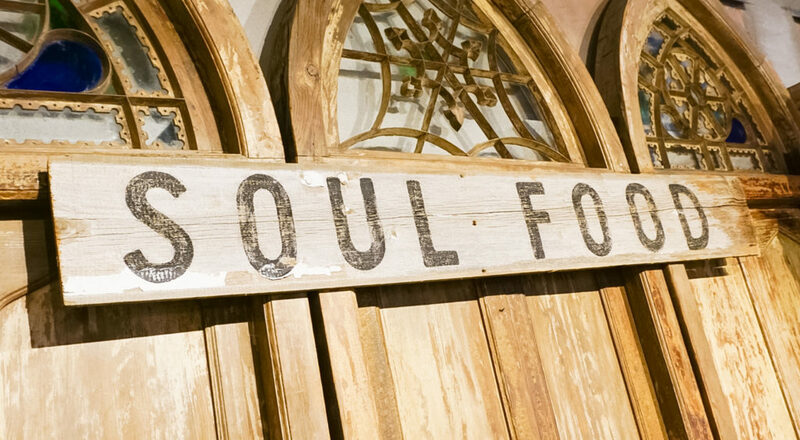 District Soul Food Restaurant and Lounge is conveniently located at 8th and G Street, SE, just a short 0.1 mile walk from the Eastern Market Metro Station. Our goal is to deliver exceptional service, delicious food, and endless cocktails in our lovely newly-renovated space. Owners Craig Parkinson (CEO), David Roundtree (COO), Christopher Alston, Chris Everette, and Eddie Reynolds are excited to welcome you to your new favorite restaurant, District Soul Food Restaurant and Lounge.